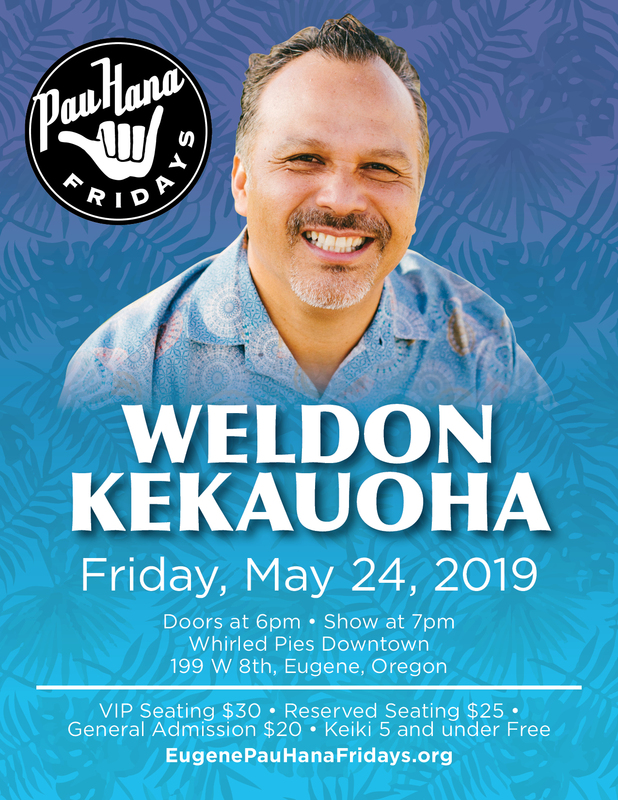 Join us for Pau Hana Fridays on May 24 at Whirled Pies (199 W 8th Ave.) featuring award-winning Hawaiian music artist Weldon Kekauoha. This will be the ONLY Pau Hana Fridays event for this year. 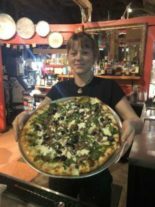 Food and drinks will be available for purchase from Whirled Pies. Multi-instrumentalist and vocalist Weldon Kekauoha puts a fresh spin on music classics and produces vivid, nostalgic original melodies. His lifelong training makes for innovative, melodious and addictive music. His numerous Na Hoku Hanohano awards include Male Vocalist, Album of the Year, Song of the Year and Favorite Entertainer. Weldon is from Honolulu on the island of O’ahu. He plays music regularly with guitarist Jack Ofoia and bassist Alika-boy Kalauli IV. He will only be performing in Oregon on May 24 in Eugene. The music of multi-instrumentalist and vocalist WELDON KEKAUOHA has been turning heads in Hawai’i’s music scene since 1998. Whether he’s belting out soulful ballads or plucking bright riffs from his guitar, the gutsy songster from Nu’uanu, Hawai’i, puts a fresh spin on the classics and brings a melodious candor to his own tasty tracks. Vivid, nostalgic melodies materialize out of Weldon’s musical arrangements, alternating between achingly soulful and seductively alluring, Weldon’s songwriting combines ranging acoustic textures with an anecdotal knack. His lyrics are novel and rhapsodic, cutting through the clichés and trivia to deliver something honest and truly perceptive. He’s performed through out Japan, and the continental US at many illustrious venues—as well as pretty much every noteworthy club in Hawai’i. His accolades include a Grammy nomination in 2014 and numerous Na Hoku Hanohano awards that include Male Vocalist, Album of the year, Song of the Year, Favorite Entertainer. Weldon lives in Honolulu in the area of Nu’uanu on the island of O’ahu. He plays regularly with guitarist Jack Ofoia and bassist Alika-boy Kalauli IV developing his signature genre-defining sound. The trio continues to pair contagious melodies with crafted musical arrangements and to tell the kind of emotionally resonant stories you’ll remember long after the song is over. Tickets are available at http://eugenepauhanafridays.org/tickets/ or by emailing eugenepauhanafridays@gmail.com Tickets are $30 for VIP, $25 for reserved seating, $20 for general admission and free for children 5 and under. Aloha!